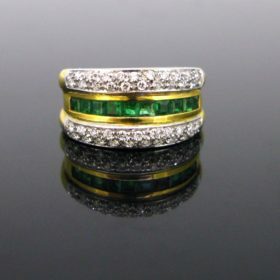 This beautiful contemporary ring comprises of 42 round cut diamonds set in white gold and 10 calibre emeralds in the centre row set in yellow gold. It is marked with the owl. It has great design and perfect to wear everyday. This ring can be resized if needed (don't hesitate to enquire).All our items comes with either a gemmological report or a jewellery report with circa and all useful information. Heritagem presents:This beautiful contemporary ring is fully made in 18kt white gold. It is marked with the eagle’s head. It is set with 31 round brilliant cut diamonds in a paved setting. The total diamond carat weight is 0.45ct approximately. It has great design and perfect to wear everyday. 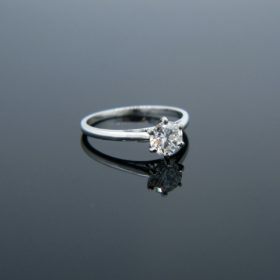 This ring can be resized if needed (don't hesitate to enquire). 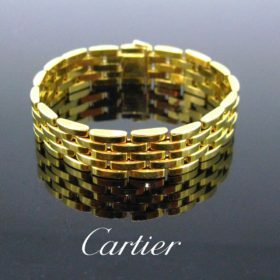 Heritagem presents:This vintage bracelet is from the Agrafe collection, made by Cartier. 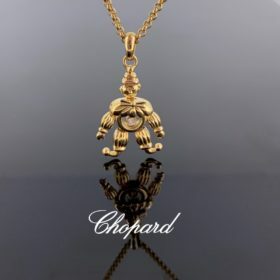 The clasp is actually looks like an “Agrafe” as it means in French a hook clasp. The gold is smooth and shiny, very confortable to wear. The clasp is signed Cartier and numbered. The bracelet is 18,5cm/7.5in long and easily adjustable. 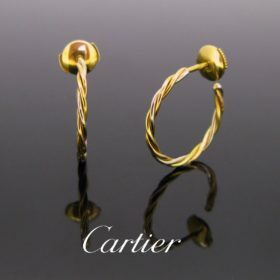 Heritagem presents:These hoop earrings are made in 18kt yellow and white gold. They are signed Cartier Paris and numbered 158265. These are very easy to wear for everyday. They are in very good condition. 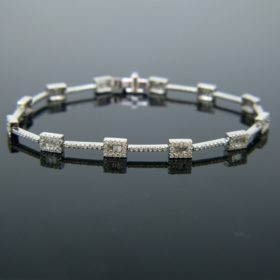 This pretty bracelet is made in 14kt white gold. It is set with 299 diamonds in total including 36 tappers and 263 round. The total diamond carat weight is around 1.70ct. It is a very cute and delicate bracelet.All our items come with either a gemmological report or a jewellery report with circa and all useful information. This ring is fully made in 18kt white gold. 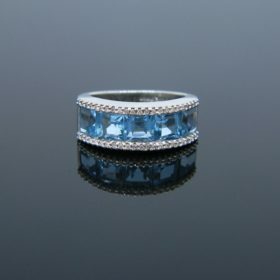 It is set with 5 square cut blue topaz and 46 tiny diamonds. The topaz have a very nice blue colour. It is perfect to wear everyday.This ring can be resized - don't hesitate to enquire about it.All our items comes with either a gemmological report or a jewellery report with circa and all useful information. Heritagem presents:This modern pendant is made in18kt white gold. 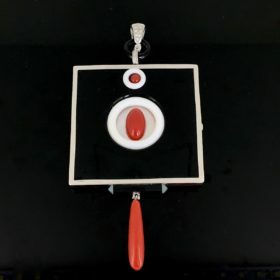 It is set with a square plaque of onyx, set in its centre with 2 beads of corals inside 2 rings of white quartz. There is a dangling coral set on the bottom. The back is adorned with a circle of mother of pearl and the bale is set with brilliant cut diamonds. The design is inspired by the Art Deco period. 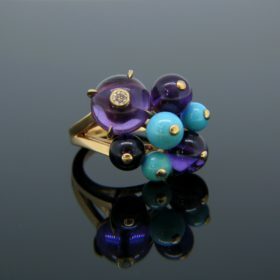 Heritagem presents:This vintage ring is made in 18kt yellow gold. 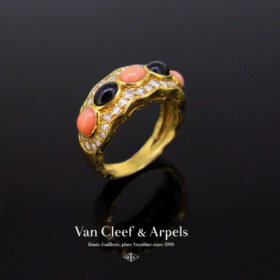 It is adorned with 3 beads of coral interspersed with onyx. The 5 central stones are surrounded with 38 single cut diamonds for an approximate total carat weight of 0.80ct. The ring is controlled with the French hallmark: the eagle’s head and with the VCA maker’s mark. It is also numbered inside the band B5134 X10.This ring can be resized if needed (don't hesitate to enquire).All our items comes with either a gemmological report or a jewellery report with circa and all useful information. 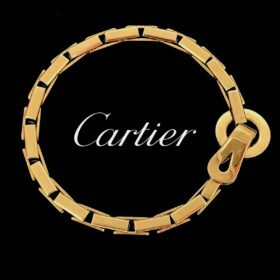 Heritagem presents:This vintage bracelet is from the famous and timeless Panthere collection by Cartier. It is the “Maillon” Panthere. 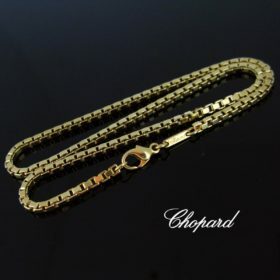 It is made in 18kt yellow gold and this one has 5 rows links. The gold is smooth and shiny. It is very easy to wear every day. It weighs 69,2gr and 18cm long. It is signed, numbered and controlled with the eagle’s head. The bracelet is easily adjustable. Heritagem presents:This elegant ring was fully made in platinum. It is signed Tiffany & Co. It is set with 19 diamonds with a total carat weight of 0.20ct approximately and 19 sapphires with a weight of around 0.26ct. Eternity rings are typically worn as wedding bands and you can also stack them up, mix and match them. The ring comes in its original box.All our items come with either a gemmological report or a jewellery report with circa and all useful information. Heritagem presents:This timeless ring comprises of 3 bands: one rose, one yellow and one white, all is 18kt gold. The rose one is signed and numbered. It is a size 56 – 7 ¼ - O ½. Louis Cartier created the Trinity collection in 1924 for his friend the famous French poet Jean Cocteau. The rose gold symbolizes love, yellow gold is loyalty and fidelity, white gold is friendship.All our items come with either a gemmological report or a jewellery report with circa and all useful information. Heritagem presents:This ring is signed by the famous designer Hermes. It is made in 18kt yellow and white gold. This modern ring features two saddles joined together. 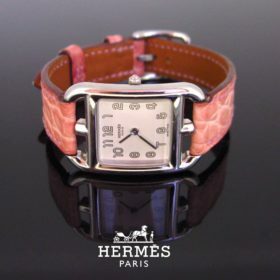 It is signed inside the band Hermes Paris and a serial number however it is hard to read. It is perfect for every day wear. Heritagem presents:This ring is from the Forties. 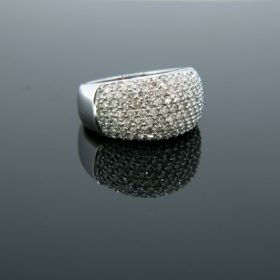 It is made in 18kt white gold and platinum. 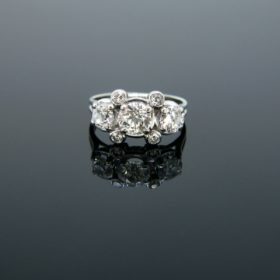 It is set with 3 diamonds, 2 are around 0.50ct and the centre one is approximately 0.90ct. They have a good colour G/H, they are lively and sparkly. The ring is enhanced with 4 diamonds on the corner in a close set. 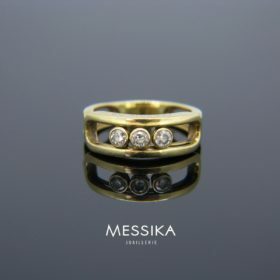 This 3 stones ring is very easy to wear every day.This ring can be resized if needed (don't hesitate to enquire).All our items come with either a gemmological report or a jewellery report with circa and all useful information. This ring is made in 18kt white gold. 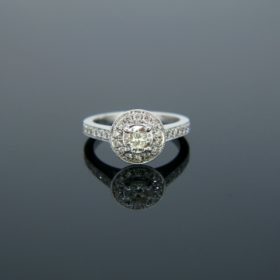 It is set in its centre with a round brilliant cut diamond weighing 0.42ct with colour I and clarity VS1. It is surrounded and adorned on each side with brilliant cut diamonds as well as underneath the cluster with a total carat weight of 0.47ct. The diamonds are set in a millegrain setting. It is the perfect engagement ring.All our items come with either a gemmological report or a jewellery report with circa and all useful information. Heritagem presents:This ring is made in platinum. 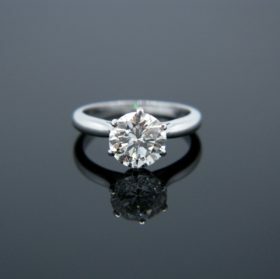 It is set in its centre with a round brilliant cut diamond weighing 0.63ct with colour K and clarity VS1. It is surrounded and adorned on each side with brilliant cut diamonds with a total carat weight of 0.27ct. It is the perfect engagement ring.All our items come with either a gemmological report or a jewellery report with circa and all useful information. Heritagem presents:These hoop earrings are perfect for everyday. 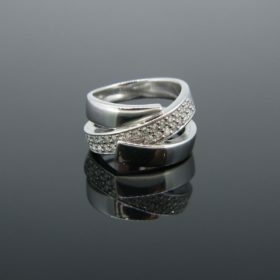 They are made in 18kt white gold and each of them is set with 3 brilliant cut diamonds. They are also signed with the Gucci’s logo: GG. They are from the collection Small Icon.All our items come with either a gemmological report or a jewellery report with circa and all useful information. 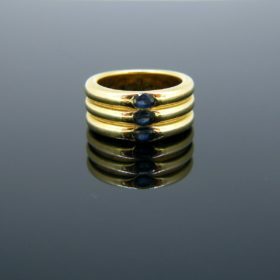 Heritagem presents:This ring is made in 18kt yellow gold. 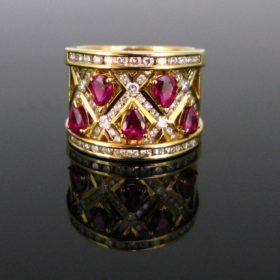 It is set with 5 pear cut rubies on a crosspiece design adorned with brilliant cut diamonds. The ring is signed Adler inside the ring band. 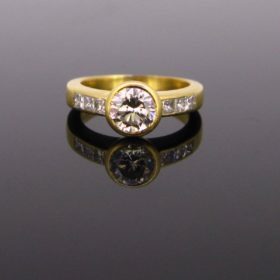 The gold is smooth and shiny, and the ring is very pleasant to wear everyday.All our items come with either a gemmological report or a jewellery report with circa and all useful information. 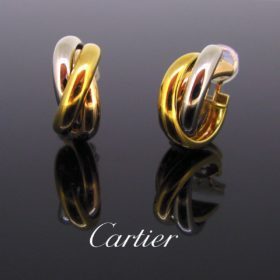 Heritagem presents:These Cartier earrings are fully made in 18kt yellow gold. Each features 85 lively and sparkly brilliant cut diamonds. It is signed and numbered on the rim and on the back. The earrings come with their original box. The total diamond carat weight is 5ct approximately. 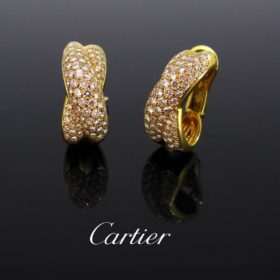 Heritagem presents:These Cartier ring is fully made in 18kt yellow gold. It features 79 lively and sparkly brilliant cut diamonds for a total carat weight of 2.40ct approximately. It is signed and numbered inside the band. The ring comes with its original box. This beautiful ring is fully made in platinum. It features a diamond weighing 1.51ct, colour K-L, clarity VS1-VS2 and it comes with an IGI report. The centre stone is surrounded by 20 round brilliant cut diamonds in a halo design. 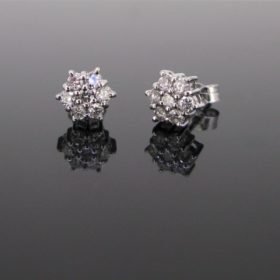 Heritagem presents:The brilliant cut diamonds are set on 18kt white gold into a flowery design. There is an approximate total carat weight of 0.70ct (0.35ct approximately on each). The earrings weight 2,4gr and they remains properly on the ear thank to the clasp. These are perfect for everyday. This important modern ring is fully made in 18kt white gold. 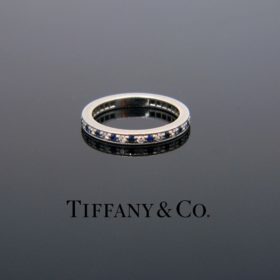 It features 123 round cut diamonds all set on top of the ring. It is marked with the eagle’s head. 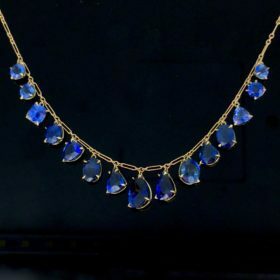 This necklace is ravishing. 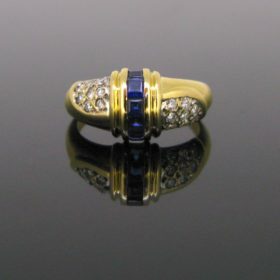 It is made in 18kt yellow gold and set with 15 sapphires graduated in size. The ones in the middle have a deeper navy blue colour and the ones on the edge have a lighter blue colour. 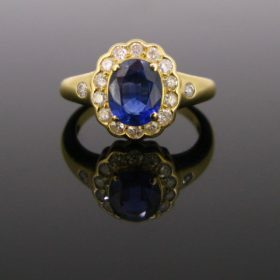 There is a total carat weight of 16.18ct of sapphires. The clasp is secured. Sapphire celebrates 16 years of marriage and also symbolizes happiness and fidelity. All our items come with either a gemmological report or a jewellery report with circa and all useful information. This bracelet is fully handcrafted in 18kt yellow gold and it is set with three moving brilliant cut diamonds. It is signed by the famous Messika house. The double chain bracelet perfectly embraces your wrist. The total diamond carat weight is 0.21ct. It is from the « Move » collection because the diamonds can move along. Heritagem presents :This ring is fully handcrafted in 18kt yellow gold and is set with three moving brilliant cut diamonds. 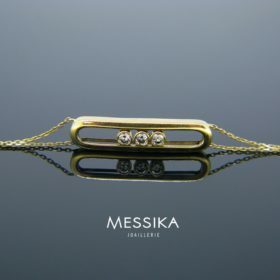 It is signed by the famous Messika house from the « Move » collection as the diamonds can move along. The total diamond carat weight is 0.25ct. It could be perfect as an engagement band or as a stacker ring. 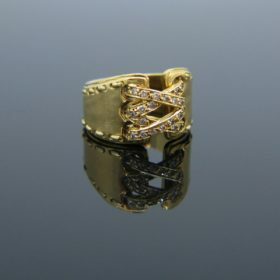 Heritagem presents:This ring is made in 18kt yellow gold. It is set with a 0.80ct approximately brilliant cut diamond. 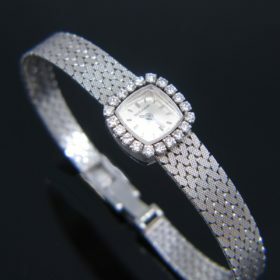 It is closed set and shouldered with 3 princess cut diamonds on each side. This ring is the perfect engagement ring, diamonds never deceived. Heritagem presents:This timeless cluster ring is ravishing. It is set with a natural sapphire of 2.13ct. It has a deep blue colour. It has been tested with indication of heating. The sapphire is surrounded with 14 brilliant cut diamonds. The shoulders are set with a brilliant too. The gold is smooth and shiny. It is the perfect engagement ring. 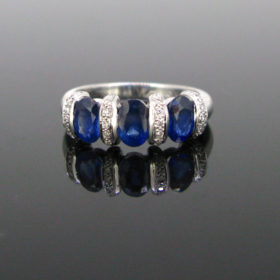 Heritagem presents:This lovely ring is set with a line of 5 deep blue sapphires. The shoulders of the ring are set with 8 brilliant cut diamonds on each side. The ring is made in 18kt yellow gold. The gold is smooth and shiny. 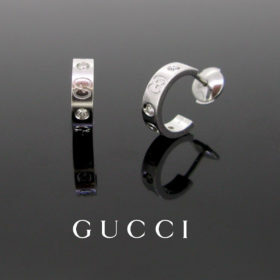 It is the perfect ring to wear everyday. 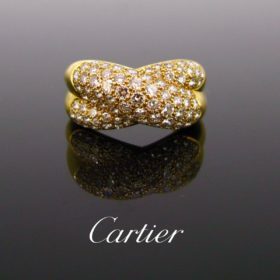 This Cartier ring comes from the collection called Delices de Goa. It features 4 amethyst beads and 3 turquoise beads. The largest amethyst bead is enhanced with a 0.08ct round diamond set in the centre. The beads diameters range from 5mm for the smallest one to 10mm for the largest one. It is fully made in 18kt rose gold. 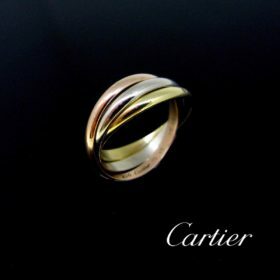 This ring comes with its original Cartier box and Cartier certificate. All our items come with either a gemmological report or a jewellery report with circa and all useful information.If you are interested feel free to contact us, we will be happy to give your more details. This stunning ring is made in 18kt white gold and features a round cut diamond weighing 2.33ct with colour K and clarity VVS2. It is the perfect engagement ring with a beautiful diamond. (This ring can be resized - don't hesitate to enquire)All our items come with either a gemmological report or a jewellery report with circa and all useful information. Heritagem presents:This pendant is perfect for every day. 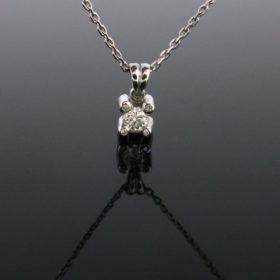 It is made in 18kt white gold. 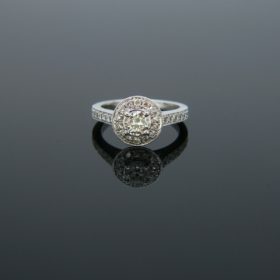 The centre is set with a brilliant cut diamond weighing approximately 0.35ct. It is secured with 4 prongs adorned with brilliant cut diamonds. This pendant is so easy to wear every day.Please note the chain is not provided. 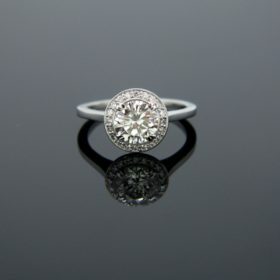 This beautiful ring is made in 18kt white gold. It is set with a vibrant 0.60ct approximately diamond, graded H/G for the colour and VS1-VS2 for the clarity. It has a pretty and classic design. It is controlled with the eagle’s head. This ring can be resized - don't hesitate to enquireAll our items come with either a gemmological report or a jewellery report with circa and all useful information.